2nd February 2019, Mumbai: What’s the best way to do a handstand? On a bike while flying through the air, in front of the Gateway of India. 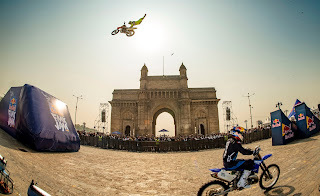 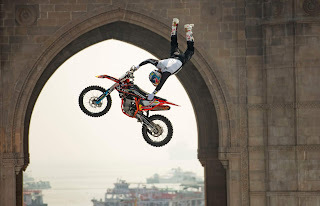 Mumbaikars witnessed for the first time ever world renowned freestyle motocross Red Bull athletes Robbie Maddison, Alexey Kolesnikov and Tom Pages along with Martin Koren, Radek Bilek & Julien Vanstippen showcase high octane biking skills at Red Bull FMX Jam at the iconic Gateway of India today.